13 Oct 2011 The NASA/ESA Hubble Space Telescope has been used to make an image of galaxy cluster MACS J1206.2-0847. The apparently distorted shapes of distant galaxies in the background is caused by an invisible substance called dark matter, whose gravity bends and distorts their light rays. MACS 1206 has been observed as part of a new survey of galaxy clusters using Hubble. Cluster MACS J1206.2-0847 (or MACS 1206 for short) is one of the first targets in a Hubble survey that will allow astronomers to construct the highly detailed dark matter maps of more galaxy clusters than ever before. These maps are being used to test previous but surprising results that suggest that dark matter is more densely packed inside clusters than some models predict. This might mean that galaxy cluster assembly began earlier than commonly thought. 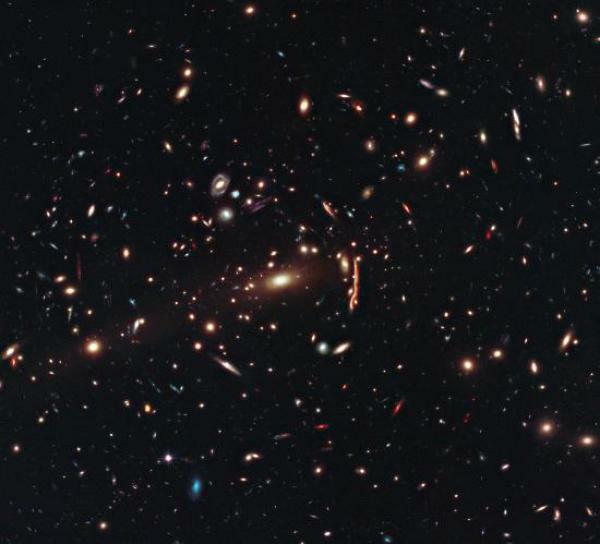 The Cluster Lensing And Supernova survey with Hubble (CLASH) probes, with unparalleled precision, the distribution of dark matter in 25 massive clusters of galaxies. So far, the CLASH team has observed six of the 25 clusters. 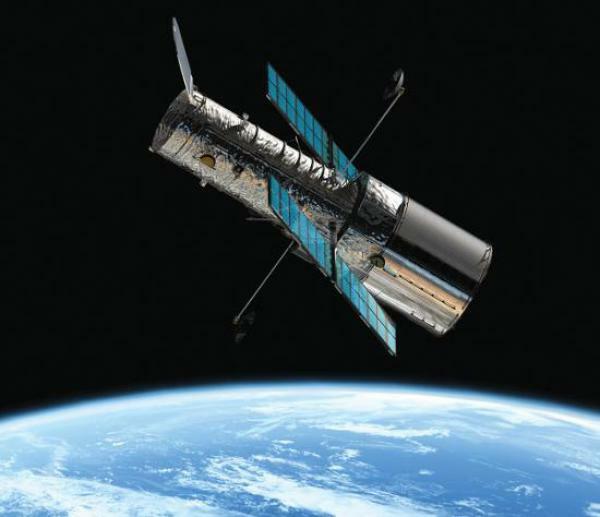 First image: The Hubble Space Telescope is a project of international cooperation between ESA and NASA.